A technology blogger claimed to successfully track breaker card Israelis. From the findings, it is almost certainly the perpetrator does not live in Saudi Arabia. Action hacker group calling itself Group-XP they really had horrendous. 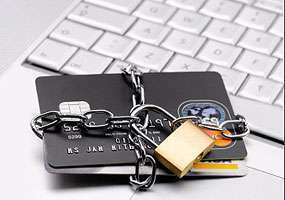 About 400 thousand Israelis have managed credit Katu stolen and transmitted over the internet. Chairman of the group calling itself xOmar 0 also admits not the first time succeeded in hacking into sites of Israel, and threatened to continue to conduct similar attacks in the cyber realm. Quoted from Haaretz, Sunday (1/15/2012), a technology blogger named Amir Fadida confessed tracked the xOmar 0 which turned out to live in Mexico, not in Saudi Arabia. Fadida also claims managed to get some personal data hackers who were aged 19 years, as the place to work or university where he studied computer problems. "He a lot of mistakes, and the greatest error is to contact the Israeli media. With the capital input email data that he some time ago, I managed to collect the data themselves one by one," wrote Fadida. Whether true or not, but a clear investigation to uncover the mastermind behind the breaker thousands of credit card was still being conducted. "I hope this investigation will product results," said Fadida. Hi, what a great web blog For technology tutorials I usually spend hours on the net reading blogs on various subjects. And, I really would like to praise you for writing such a fabulous article. I honestly believe there is a skill to writing articles that only very few posses and yes you got it. This is really informative and I will for sure refer my friends the same. Thanks.